21-gun salutes! The Major is back with a free mixtape. Diplo and Switch aka. 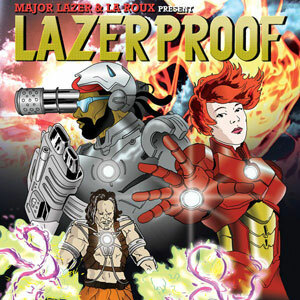 Major Lazer and british Electro-Pop Duo “La Roux” proudly presents LAZERPROOF a free 14-track collaboration Mixtape. In exchange for your email adresse they’ll send you a download link. But don’t worry if you didn’t get one directly, it seems like Mad Decent has some issues sending out those links, at the moment.